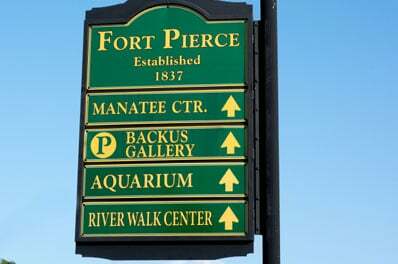 Fort Pierce is located in St. Lucie County on Florida’s Treasure Coast. Also known as the “Sunrise City,” it is considered the sister city of San Francisco, California, the “Sunset City.” Fort Pierce has a population of 41,590. The city provides residents and visitors with a diverse yet intimate community, and the downtown district has retained its old Florida charm. The historic waterfront offers shopping, dining, great fishing, and a range of entertainment. Fort Pierce is also home to educational and research facilities. All Points Mobile Shredding has served Fort Pierce since 1994. We are proud to provide its businesses and residents with outstanding customer service, competitive pricing, and full-service shredding solutions.